Safa Sajadi is a researcher for the Center for Responsible Lending in Durham, North Carolina. Prior to joining CRL, Safa worked in the areas of bankruptcy, policy analysis, and program evaluation. She has worked for the North Carolina General Assembly’s Program Evaluation Division, Institute for Emerging Issues, and the North Carolina Coastal Resources Law, Planning and Policy Center. Most recently, Safa served as a law clerk for the Honorable Ernest M. Robles of the Central District of California Bankruptcy Court in Los Angeles, California. Safa grew up in Los Angeles where she received her bachelor’s degree in political science and religious studies from California State University, Northridge. 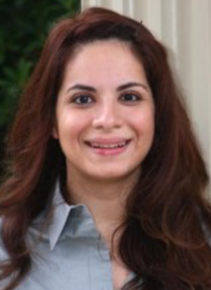 Safa attended graduate school at the University of North Carolina’s School of Government and received a master in public administration degree. She is also a graduate of the University Of North Carolina’s School Of Law where she was inducted into the James E. and Carolyn B. Davis Society and served as the Graduate and Professional Schools Attorney General for the Honor System.